One of Ashton Kutcher's biggest fans is apparently the man whose "Two and a Half Men" job he took — Charlie Sheen. 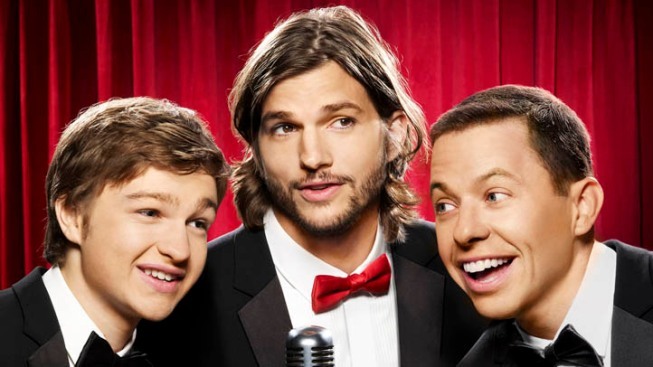 A record 27.8 million people tuned in to see Ashton Kutcher's highly anticipated "Two and a Half Men" debut on Monday, and one of those viewers was none other than the star who he replaced — Charlie Sheen. Access Hollywood caught up with Charlie on Friday to get his take on Ashton's performance, and not only did the veteran actor seemingly harbor no ill will against his younger replacement, he even offered kudos for the show's new turn. "It was a big night for everybody on Monday night — for 'Two and a Half,' for us, for me," Charlie told Access at "The Way" premiere in Los Angeles on Friday. "I think everybody won. I thought the show was really good. I thought [Ashton] was terrific." Charlie, himself, also made a dent in the ratings record book on Monday night with his Comedy Central roast bringing in 6.4 million viewers, making it the cable network's highest rated roast of all time. As for Charlie's former co-star, Jon Cryer, who he infamously referred to as a "troll" earlier this year, Charlie had nothing but praise for the actor. "Jon is Jon. He's a freaking genius," Charlie said. "I think [the show has] got a real shot. It felt like a pilot. It felt like a really good pilot. "It was a little bizarre watching it, but yeah, for the most part I was really impressed with what they did," he added. On Monday's "… Men," Charlie's character was killed when he was hit by a subway train in Paris, and the episode saw record-breaking numbers of viewers tuning in to see Ashton's introduction to the show, as well as Charlie's on screen funeral – a fact that made the 46-year-old star proud. "That's got to be the highest attended funeral of all time," he told Access with a smile. "And it's interesting because I'm doing [a] film with Roman Coppola and there is a funeral scene in that. So I'm a guy that's gonna have to survive my own funeral twice in the same year! "That's how I roll, right?" he continued, jokingly. "No, it's exciting…you know, it's fun, it's fake." So how are things between Charlie and Ashton (with whom he was seen chatting backstage at Sunday night's 63rd Primetime Emmy Awards)? "Oh, that's between us. You know I can't reveal everything," he said, when asked what the two actors discussed at the awards show. "We're just a couple of guys just shooting the sh*t, you know? "You'll have to beep that!" he added, laughing. "He was terrific. He was terrific." The compliments kept flowing from Charlie, as he also praised his dad, Martin Sheen, and brother, Emilio Estevez, for their upcoming big screen collaboration, "The Way." "[I'm] very proud, very proud," Charlie told Access of his family's latest project. "I've seen the movie — I thought it was unbelievable. "I think it's the best work Dad's done since 'Apocalypse [Now]' or 'Bad Lands,' and the best thing Emilio has ever directed or written," he added. "The Way" opens in select theaters on October 7. PLAY IT NOW: Charlie Sheen Gets Roasted: Was Anything Off Limits? PLAY IT NOW: Jon Cryer: What Can Fans Expect On New Season Of 'Two And A Half Men'?